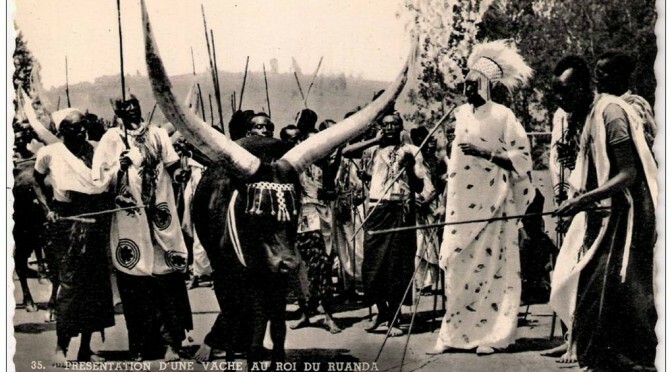 Ankole-Watusi have always garnered attention wherever they go. This is a collection of articles about Watusi cattle from various media sources. If you have a Watusi article we don’t have, please email us at info@watusi.org. Editor’s note: This article originally appeared in 1996 in Watusi World but has been preserved in it’s original form as it is still so informative. 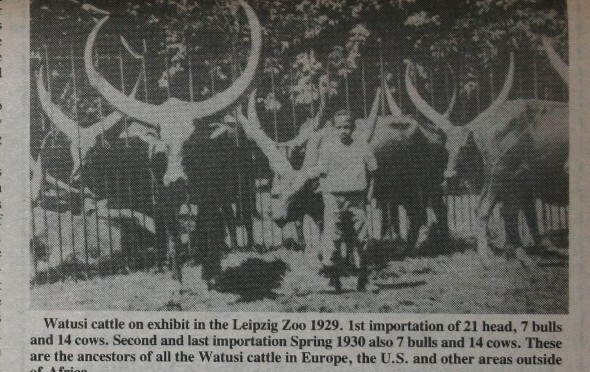 A brief overview of the beginning of Watusi cattle in America and cattle husbandry. Written by a layman, for a layman. 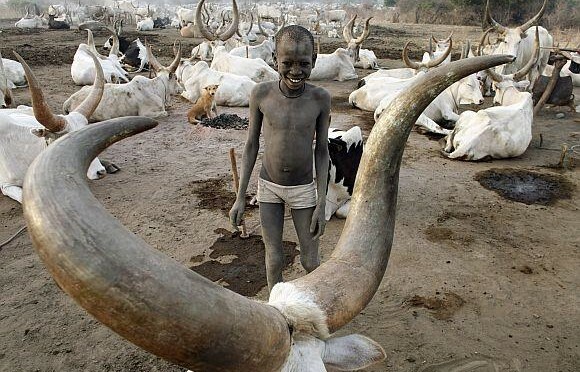 Watusi, “The Cattle of Kings”, invoke a special feeling in the hearts of those they touch. 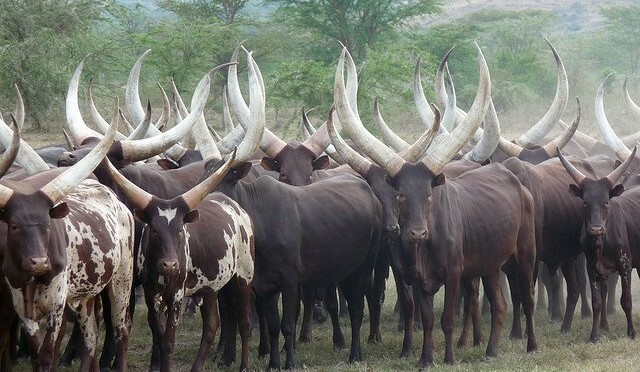 So, if you see these magnificent, huge horned cattle and they stir a magic feeling in your soul – it is something special to nurture and enjoy. 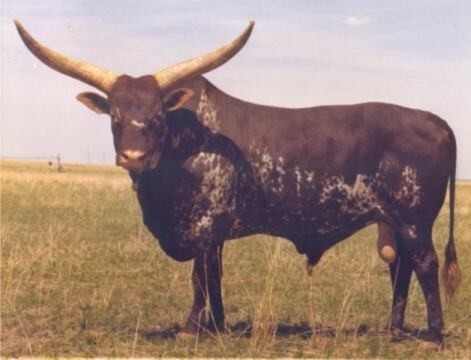 It is no great revelation to any Watusi enthusiast whether a cattle owner or not that the most important and distinguishing feature of this species is the horn. 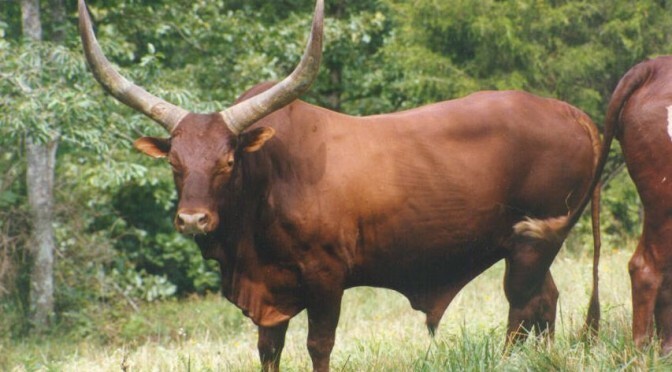 Most of us are aware that the Watusi breed is composed of animals with huge, heavy and long horns. The heaviest and longest of all cattle breeds in the world. But not everyone is really aware just how difficult it is to come up with those fantastic horns. The selection of a herd sire is by far the most critical factor in determining 50 percent of the genetic potential of every breeder’s future calf crops. Any decision on a herd bull should be well planned and not a sentimental or hasty one. Often, the auction bargain may not prove to meet the highest requirements either. In this article we shall deal with the major considerations and decisions involving sire selection. 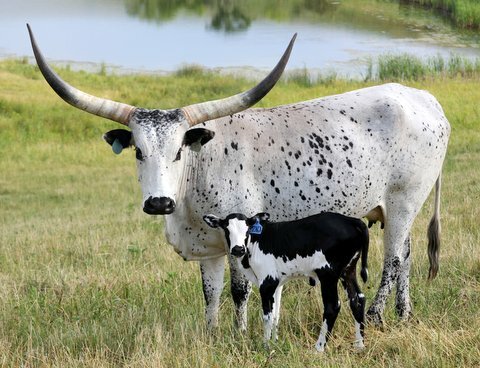 What are Watusi cattle? Where did they suddenly appear from? What are they good for? How did they come to be? 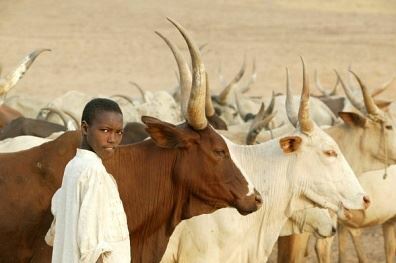 The following is an account of this breed of cattle. An attempt to answer these key questions.